It’s important to have good business practices to create a regular income flow. You may not have control over busy and slow periods in your business (though not ignoring your marketing when you’re busy is helpful), you do have control over your business payment terms. This means you create business policies and then enforce them. If you have clients who are inconsistent in their payments you can improve that. Having invoice due dates and deadlines for approving proposals will help money flow more regularly into your business. Because it doesn’t help you at all to have to track down past due payments. I suggest having the due date on the invoice or proposal that you send to the client. You could even go a step further and have invoices incur late fees if past due. What will really help you if you run into a situation that a client isn’t paying their bills or paying on time is to get paid first. This way you have a buffer if anything should happen. It’s not worth the risk to not get a deposit or retainer from a client. I always require 100% deposit for things I purchase on behalf of the client and a non-refundable retainer to start work and to cover my design fees. One of the best things you can do for consistency is to grow your savings. This will cushion you when times are lean. 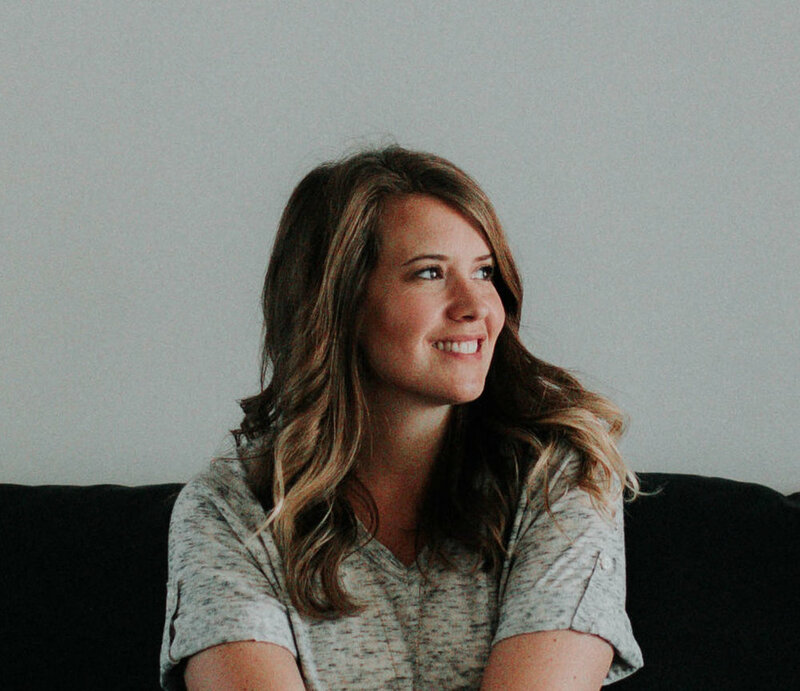 A tip I learned from my friend Amanda is to not save a certain amount each month, but a percentage of your income. Because your income is inconsistent from month to month this will help you save a lot during your abundant periods and not put too much strain when you’re not as busy. Your goal should be to have at least 3 months of expenses saved, but 6 is better when you own a business or if you’re the breadwinner. So how do you know how much 6 months of expenses is? You have to figure out your bottom line! Your bottom line is the number that you need to make to live and run your business each month. This number is the minimum benchmark in your business. It’s a good number to know. If month after month you are only just getting by, something in your business needs to change. But a healthy business should meet and exceed this most months. Look into creating multiple revenue streams in your business. A great way to do this, is to look at what time of year your business is slow (if it’s caused by outside factors like seasons) and think how you can create another offering to fill that. It could be holiday decorating. Day packages for people in their summer homes. Creating a shop to sell digital products. I know most interior designers would rather not think too much about money and numbers. However, that’s the CEO’s (when you own a business that’s probably you) job. Don’t ignore this role. 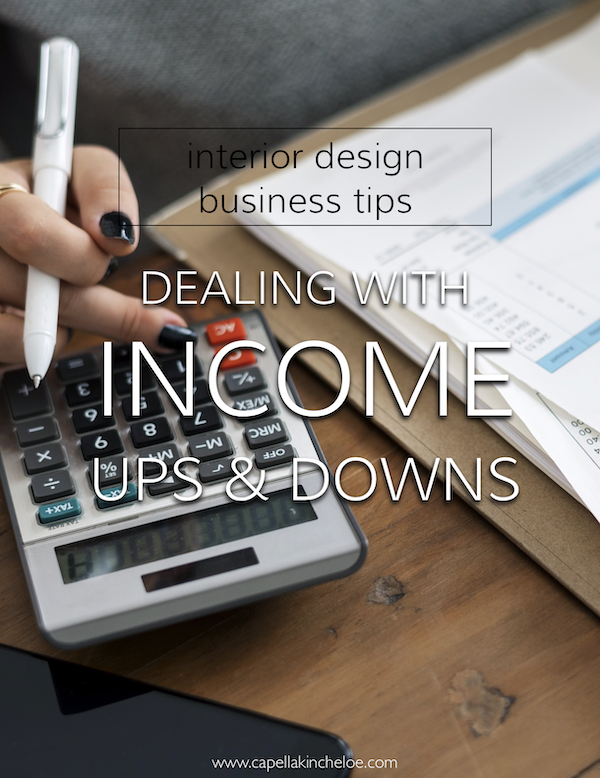 Looking at numbers lets you see patterns in your income so you can do future projections - great for when you want to make your income more consistent. It also allows you to see if your client are paying their bills on time, if you have outstanding debts, or if you are spending too much money in one area. Reviewing how your money is coming in and leaving your business is an important task as the CEO of your company. You should be looking at everything you spend money on and determining if you need to continue. You may have subscriptions you no longer use, insurance rates that could be reduced, or duplicate services that could be eliminated.